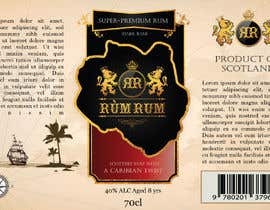 Looking for someone to design a new logo and branding for a new alcohol product (Rum). 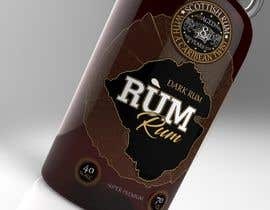 Brand Name: Rùm Rum (Rùm is an island off Scotland and we would like the outline of this island to be used in the design) you can get the outline via Google search. 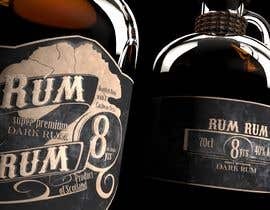 Want branding to be both premium and old worlde with a modern element (see the images of Bandits Rum for ideas on colours and style). 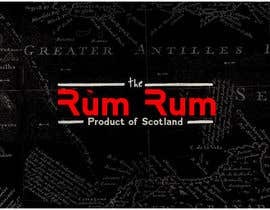 Want graphics designed that encompass both Scotland and the Caribbean together (will let you decide how to do that!). 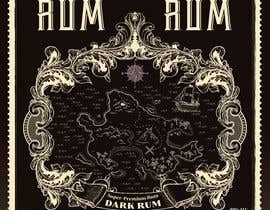 One suggestion could be a map showing a route from the Caribbean to Isle of Rum as the background (something like the attached Rum Shack image). 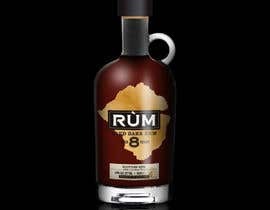 Have uploaded details of bottle. Can use either a label or probably more preferable a transfer print which can also now be done in metallic finish (see uploaded image). 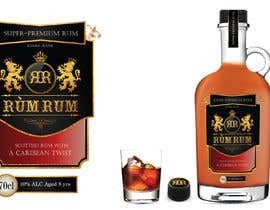 Please also check the image of the dragon with the barrel from another company, I like this idea. If you google Scottish Lion; you will see our national emblem, can you please use this style of lion and recreate a similar image with the barrel and incorporate this into the overall design somewhere. 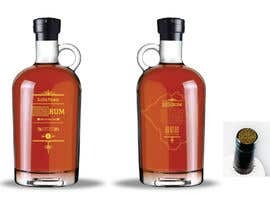 Have attached bottle design sheet for sizes and image. Please create a 3d render from this information. I have purposely not sealed the contest, I will keep the best designs visible to other freelancers for inspiration. I will answer any questions you may have as quickly as I can. hi!. sorry for ask, but you remove all the stars of all the entry's? because i don't see them. Extend it for 3 days please. #138 HI, I HOPE YOU HAVE SEEN MY EARLIER WORK...NOW I HAVE DEVELOPE A SIMPLE OPTION ACCORDING TO YOUR BRIEF...ITS A EASY TO EXECUTE OPTION.......OPEN FOR ANY CHANGES...PLEASE COMMENT...YOUR FEEDBACK IS IMPORTANT..THANKS! TC. Hi im changing the design, please wait until im done, if you like to see the changes please text me in private chat. Hi. 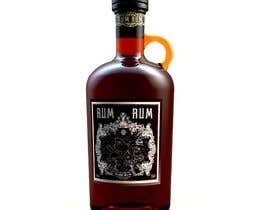 We like the style of your design but the flower is not correct for the rum. Maybe if you can change the theme away from being floral this would be good. Thanks. #123 HI, I HOPE YOU WILL LIKE MY DESIGN...I HAVE TRIED TO INCORPORATE WHATEVER YOU NEEDED......THANKS...FEEDBACK PLEASE! 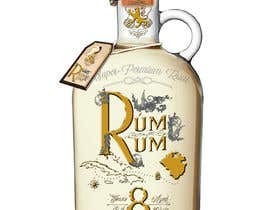 i will work on this, please wait until the end of the contest, can i re-design the bottle? 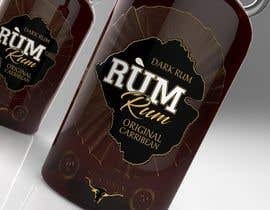 Do you want the design of the label, not the bottle? I couldn't understand your requirement. 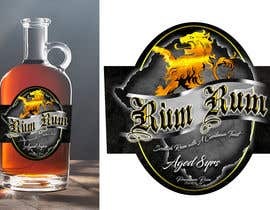 You need Label or only Logo ? 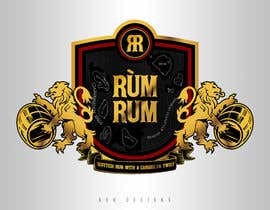 You are allowing logo submissions but you deleted My label with Rum bottle filled with Dark rum which is practical way of label design submission. 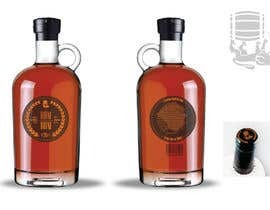 We want the bottle fully branded so full paper or transfer label incorporating a bespoke new logo. The logo only submissions will not be selected but I am leaving them up for inspiration to designers that have read the brief correctly like yourself. Please check the Logo # 7. Please this is lucky-7. Thank you very much. Would you like a mascot included? 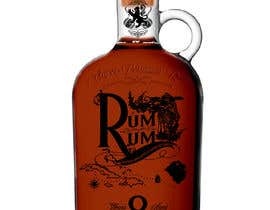 If so, like a pirate? 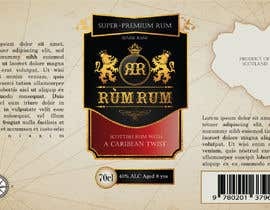 You want label to be contemporary with Gold Foil Stamping and embossing or Old Retro style ? 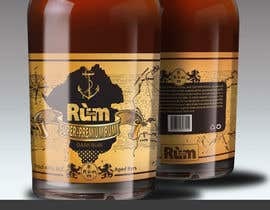 although Bottle is not very Old style.